One simply does not belittle one’s own neighborhood and seek adventures/ places of interest elsewhere. Most often we overlook what great possessions belong to our ‘local’. 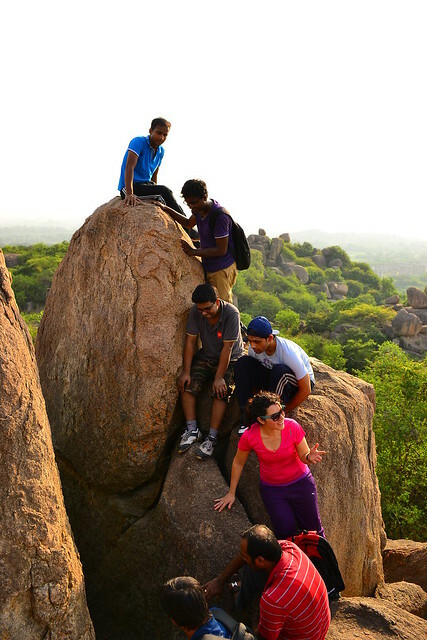 Hyderabad too is a culturally varied city enriched in several colors but also offers outdoor activities and it might be a surprise to many, houses some trekking trails also. Here is a brief account of the treks I have personally done over last couple of months. 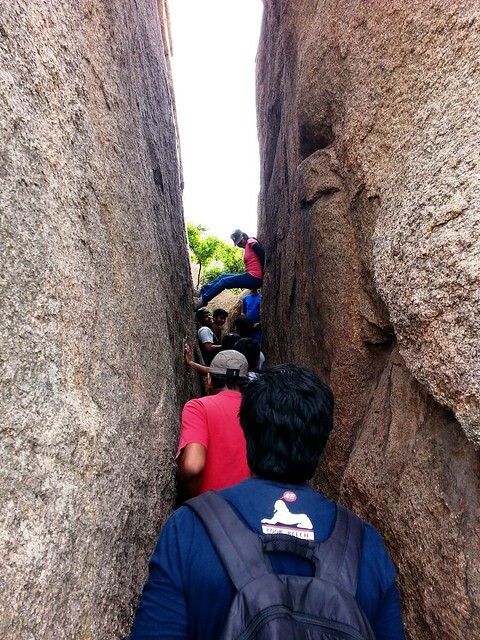 Moula Ali is a 3 hill hike with difficulty level mostly easy to medium. You would find yourself scrambling, chimney climbing, some bouldering, if you please and going down a steep descent rock towards the end. You get the view of a large city line standing atop the mountains. 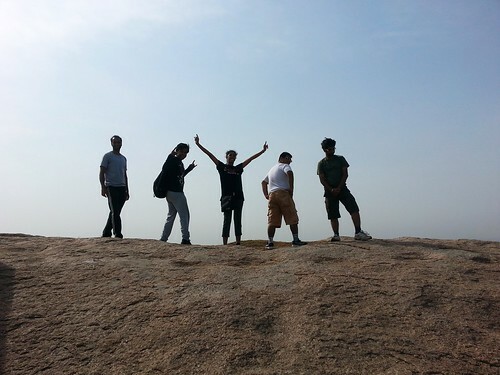 Customary introduction of the hills- It is 10 Kms from Secunderabad. It has a famous mosque, Moulali Dargah, in the name of Hazrat Ali. It is rocky. It is good. Try taking full trousers for this one, you might face thorns at all places otherwise. This one asks of you for the “Leap of Faith” at times meaning jumping over rocks with heart in mouth… well, no, not that scary also. This one has caving too, quite dramatic at that and some intense rock climbing too which you can get past with some assistance. Quite exhausting, engaging and 8 kms from Mehdipatnam, this one is. 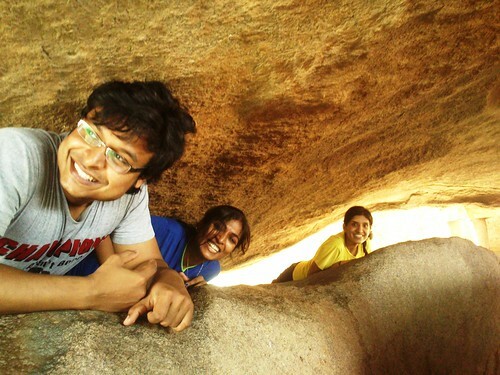 Good 25 kms long drive from Secunderabad, this trek also has some tough boulders. I remember getting on top of one but having a hard time figuring out my way down. 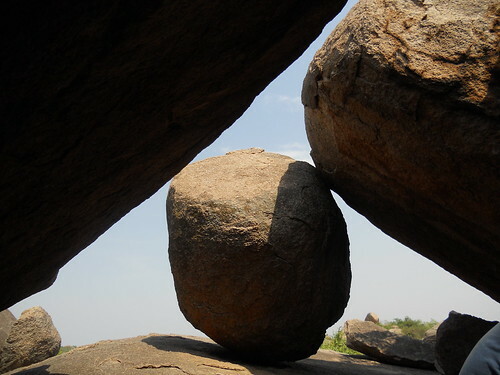 You have varied sized boulders, call it made for everyone. 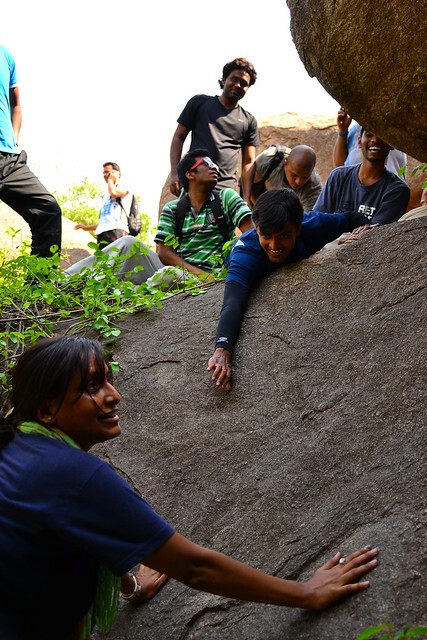 You can have some beginners’ touch on rock climbing here but be watchful of its rocky terrain if you are climbing down, specially in rains. This particular one is very wild in terms of overgrown grass or other untamed items, but you will have all the more fun dodging it holding a stick and getting out. With rains pouring over, it will be nicer but more challenging. 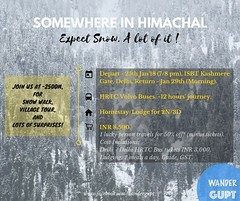 Head out, set your explore mode on and see yourself turning slowly to an outdoor enthusiast! You will have made new friends, learnt to rely on others at situations beyond your control, made cognizance of your fitness level (most times discouraging, yet inspiring), and returned with newer experiences! Did I miss any? Please enlighten me. 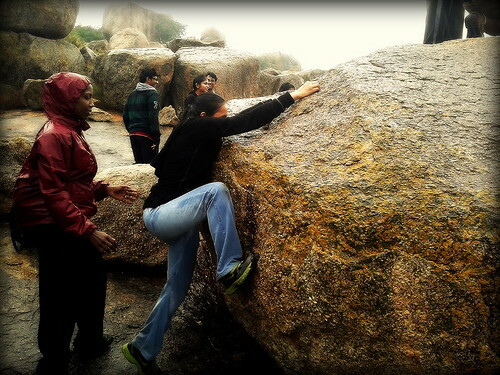 And share your experiences how the first trek changed you, for forever! 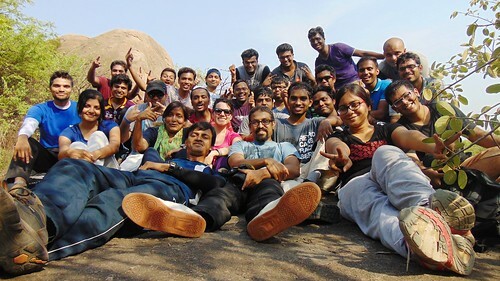 Hyderabad seems to have a lot of places as well as an enthusiastic group , for the activities of the adventure clubs are the talk of the town . You too seem to be having great time .